Former France midfielder, Christian Karembeu has tipped the Super Eagles to be one of the standout teams at the World Cup in Russia this summer. A FIFA Representative accompanying sport world’s most recognizable diadem on the fourth Coca-Cola FIFA World Cup Trophy Tour, Karembeu, also a World Cup winner with France in 1998, while addressing a press conference in Abuja said Nigeria has always been a great footballing nation. 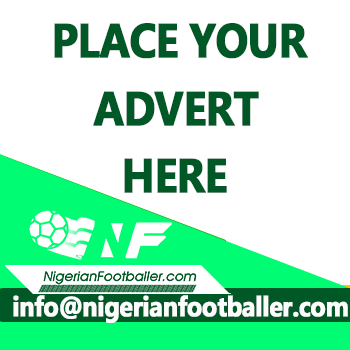 “Yes, we know there are a number of strong African countries in the game but Nigeria has always been a great footballing nation, and they have an exciting team heading to the FIFA World Cup in Russia. I have played alongside and against so many Nigerian players and I can attest to their strength and ambition. I believe the present Super Eagles squad is capable of great things,” said Karembeu, as he congratulated the President of NFF, Amaju Pinnick on the Super Eagles’ berth in Russia 2018. 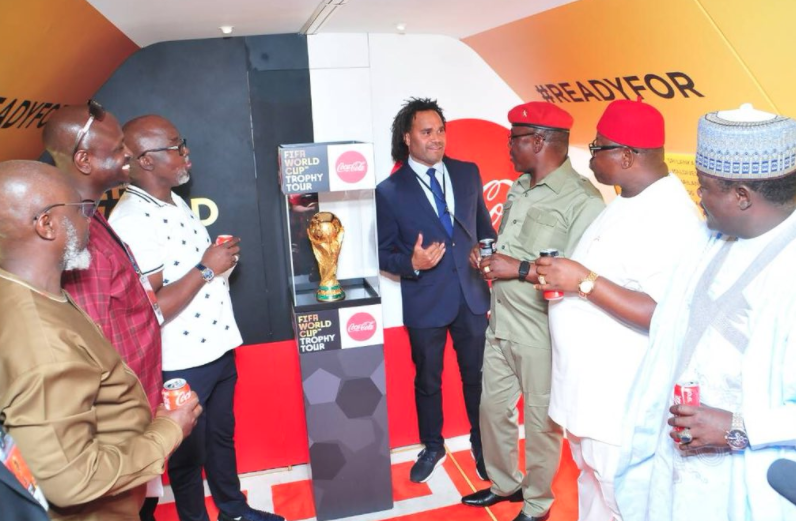 Pinnick described Coca-Cola as a super brand that the Federation is happy to partner with, and stated that the Nigerian Football family is delighted with the arrival of the World Cup trophy. Bhupendra Suri, Managing Director of Coca-Cola Nigeria Limited, reiterated that what was brought to Nigeria and what is being taken round the world is “the original, solid gold FIFA World Cup trophy” and not a replica, and that Nigeria is one of few special countries where the trophy would be seen in two different cities. Suri also announced that Coca-Cola would soon unveil a promotion in which Nigerians will win all-expense-paid trip to the World Cup finals in Russia, with Managing Director of Nigeria Bottling Company, Georgios Polymenakos insisting Nigerians deserve this as a result of their incredible passion for the game.